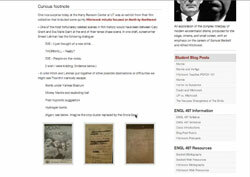 One other update you should notice after Spring Break is the new ACU Blogs 1.5 theme. The 1.5 theme will look and feel exactly the same as the current version but includes a few hidden features for advanced users. If you’re feeling adventurous after the break, here are five quick tips to upgrade your course site. Okay, this is already possible with the current theme, but the new theme doesn’t recognize your current header image. The first tip simply helps you retrieve the custom image you’re already using after upgrading to ACU Blogs 1.5. If you’ve ever uploaded an image into a post and wanted to turn off the box framing your picture, learn how to go “borderless.” This is a CSS Class we’ve added to the theme; watch this quick tip for how to apply it. 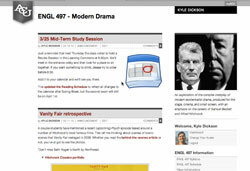 As faculty begin assigning student blog posts, the main homepage can become challenging to manage. 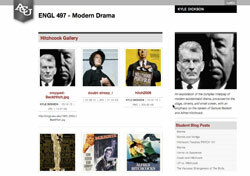 One option is to create a separate category for student blog posts. This tip walks you through excluding a category from the homepage and adding the ACU Recent Posts widget to your sidebar to display new posts from the excluded category. If you’re not afraid of HTML, you can add basic styling to widget titles on any of the custom ACU widgets. Below you’ll find the example codes for text color and background, but feel free to experiment with your own. You can replace the “#color codes” above with your own: HTML color codes chart. Once you’re comfortable adding individual images to a blog post, you may run into posts that need to present a handful of images at once. Tucked away in the Add an Image window is the Gallery tab that makes this easy. The final tip introduces two quick ways to present any documents, images, audio or video files you have uploaded throughout the semester in one place. 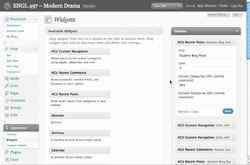 The Media Gallery templates are new to the ACU Blogs 1.5 theme (see tip #5) but offer a simple way to quickly view files in your blog’s media library in one place.